I took this picture last December when we met a man who looked like an early American mountain man. 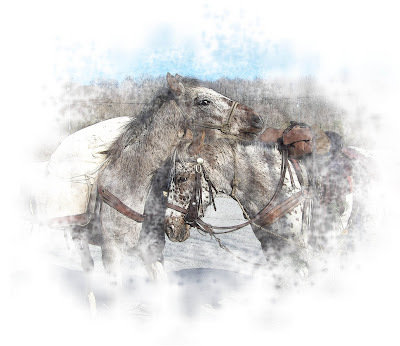 He was traveling the country alone riding one horse and using the other for pack. It was so cool, like stepping back in time 150 years! I thought you might enjoy what I did with the image. It will get large if you click it so you can see the cool details. I'm always astounded at the things God let's me do in PS! Bless You Lord forever! Creating doctrine from isolated scriptures instead of reading them in context and keeping Bible principles in mind as you seek to understand God’s truth is how we have wound up with so many man made denominations and false doctrines. Jesus died for one church, His body, the Bride of Christ. Division is condemned in the New Testament. 1 Corinthians 1:11-13 Jesus prayed for unity. John 17:11 Not unity based on compromising His truth and watering it down so everyone can agree, but unity based on complete adherence to His Word as our Lord, Master and Savior. Knowing there will be differing understandings, I believe we need to all agree on matters pertaining to salvation and give each other grace to understand other matters differently. If you'd like the angel alone, she's in the archives in the left column. She's truly fabulous when you see her detail! Thank you! Your blog post will be advertised on the DigiFree Digital Scrapbooking Freebie search engine today (look for timestamp: 13 Mar [LA 11:00pm] - 14 Mar [NY 01:00am, UK 06:00am, OZ 05:00pm] ). I am ecstatic over this pewter angel! 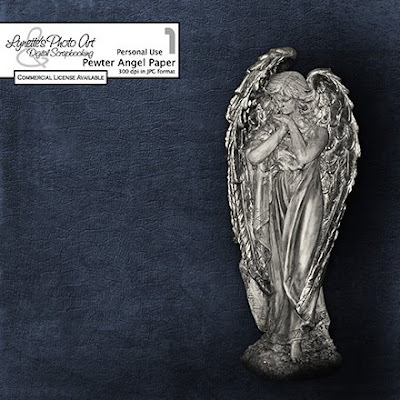 I collect angel figurines, angel dolls, and so forth as much as I can (which is whenever the Lord provides, as I've been a family caregiver and without income for the past three years, as of tomorrow); so to find this posted as today's freebie is very exciting. I also must add that I find today's Bible teaching very pertinent, and I'm very glad I read it today. Thank you again and once again, may the Lord richly bless. (I'm about to try to see if I can link your blog on my blog). Thank you so much for this Freebie. I want to let you know that I posted a link to your blog in Creative Busy Hands Scrapbook Freebies Search List, under the Elements Only, Papers Only post on Mar. 14, 2009. Thanks again.